Rated #1 for taste by Epicurious.com, this meal plan is all about helping people shed weight without feeling like they're missing out on the foods they love. 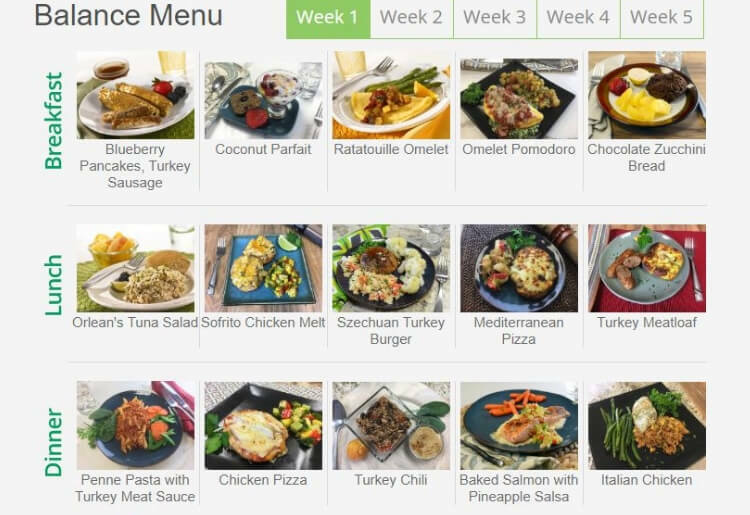 With 4 specially crafted plans - Balance, Balance Diabetes, Keto-Carb30, and Vegetarian - customers can choose the meal plan which suits them best. 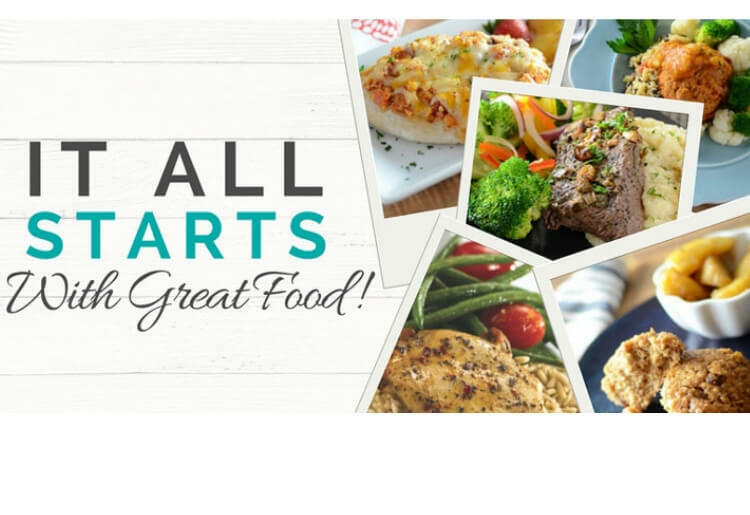 Meal plans start at $8.57 per meal or as low as $6.19 per meal for your first 21 meals with the offer above. Diet-To-Go is not just about weight loss. Their philosophy is to help transform the way we relate to food, whether that’s increasing the nutrition and variation in the typical diet, eating cleaner or as a means to manage health issues, like diabetes and high cholesterol. It has been delivering healthy meals nationwide since 1991 – so it's not a newby in the industry by any means and it shows. Diet-To-Go will suggest the best meal plan for you based on age, gender, activity level, height and weight, and with the help of a BMI (Body Mass Index) scale via a free diet analysis when you first visit the website. Diet-to-Go offers 4 meal plans. Each plan offers a 5-week rotating menu with free unlimited meal substitutions for any meals that week that don’t suit your personal tastes. Tons of great resources for losing weight - including advice, articles, blogs, recipes, and a private Facebook Group with access to weight-loss tips, tricks, support and motivation from the entire nationwide Diet-to-Go community. Once you’ve entered in your personal and health information you then choose your ideal meal plan, and choose from home delivery or pick up if you are in a pick up area. Just enter your zip code for available options. The women’s portions are about 1,200 calories per day, and the men’s portions are 1,600 calories per day. Reasonable weight loss goals are between 2-4 lbs per week in the first few weeks. Customers can then choose 5 days a week or 7 days per week, and whether they would like 2 (no breakfast), or 3 meals per day. Now enter delivery and billing information, and that’s it. Any account or subscription information can be edited from the account settings and meal planner. So once you sign up, you jump right in and choose your first week’s meals – either staying with the prescribed menu, or subbing out any meals that aren’t your cup of tea. Diet-To-Go offers breakfast, lunch and dinner options (which also include sides/condiments). There are currently no snacks, desserts or a la carte options available. 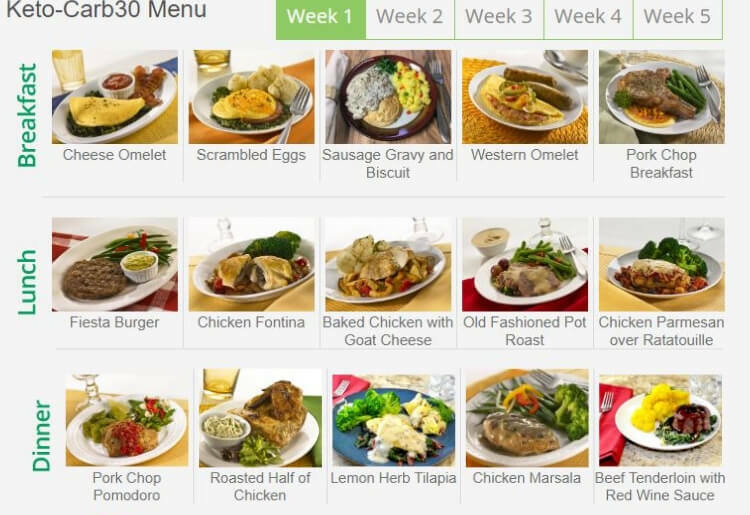 However, using the meal planner, Diet-To-Go makes it easy to substitute any food you don't like. Rated #1 for Taste by Epicurious, the Balance Menu is a great starting point for healthy eating. This is the gold standard menu Diet-To-Go has been fine tuning since 1991. It's calorie-controlled and contains nutritionally balanced, heart-healthy portions of the foods you love. This menu has the most variety and substitution choices of all the menus. So, if you don’t have any reason for dietary restrictions, you’ll want to start here. You can opt for the Balance-Diabetes Menu that follows the American Diabetes Association guidelines for carbohydrates and fat. This plan is great for those who simply like to eat a lower carb and lower sugar diet (who don’t really want to go full Keto) or as a way to naturally control your blood sugar if you are diabetic or pre-diabetic. There is also have the Keto-Carb30 Menu that averages only 30 net carbs per day and follows the popular Keto Diet formula for quick and effective weight loss. Finally, there is a Vegetarian Menu that's a meat-free version of their popular Balance Menu. (A no-seafood Balance Menu option is also available). Prices vary depending upon how many meals you’d like each week. You may choose 5 or 7 days per week and either 2 (no breakfast) or 3 meals per day. Unlimited free access to health coaches Monday - Friday 8am - 9pm, and Saturday 9am - 12 noon EST. Private Facebook Group with access to weight-loss tips, tricks, support and motivation from the entire nationwide Diet-to-Go community. Hilton Davis founded Diet-To-Go in 1991.This makes Diet-To-Go one of the first companies to offer a service like this in the entire United States. It currently ships around 40,000 meals per week, making it one of the most popular choices too. The company has over 100 employees, many working from one of the company's 2 kitchens, one in Lorton VA, and the other in Los Angeles CA. The kitchens are inspected daily by the USDA, and the meals are created with the input and guidelines of the American Cancer Society and American Diabetes Association in mind.